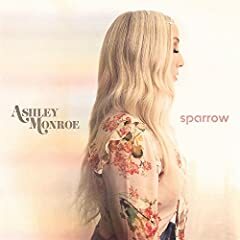 Ashley Lauren Monroe is an American country music singer-songwriter. She has released two solo singles on the U.S. Billboard Hot Country Songs chart. The singles "Satisfied" and "I Don't Want To" (which featured Brooks & Dunn singer Ronnie Dunn) reached No. 43 and No. 37, respectively. Both singles were intended to be released on Monroe's debut album, Satisfied, in 2007, but the album went unreleased. Soon after, Monroe left Columbia Records' roster in late 2007, and Satisfied was finally released on May 19, 2009. In June 2011, Monroe, Miranda Lambert and Angaleena Presley formed a band called Pistol Annies.